"Getting tuberculosis in the middle of your life is like starting downtown to do a lot of urgent errands and being hit by a bus. When you regain consciousness you remember nothing about the urgent errands. You can't even remember where you were going." 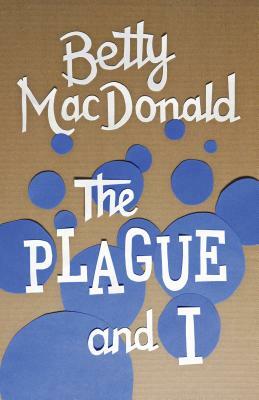 Thus begins Betty MacDonald's memoir of her year in a sanatorium just outside Seattle battling the "White Plague." MacDonald uses her offbeat humor to make the most of her time in the TB sanatorium--making all of us laugh in the process. Betty MacDonald (1907-1958), the best-selling author of The Egg and I and the classic Mrs. Piggle-Wiggle children's books, burst onto the literary scene shortly after the end of World War II. The Plague and I takes up Betty's delightful misadventures where The Egg and I left off. She continued chronicling her life story with memoirs Anybody Can Do Anything and finally Onions in the Stew. She lived on Vashon Island in Washington's Puget Sound.